In this drama set at the end of WW I, Sgt. Jocko Wilson leaves England to return to Australia. He brings with him, two Belgian orphans whom he will raise as his own. 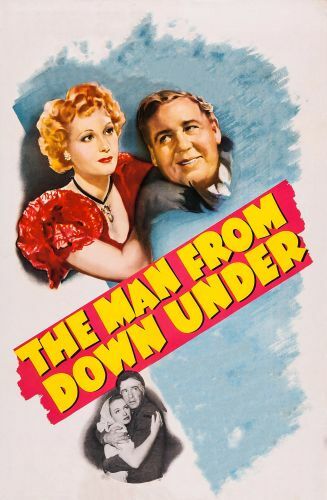 He later sends the girl to boarding school while his son becomes the Australian lightweight boxing champion (the Sgt. himself was a former boxer). He uses his considerable prize money to buy an estate and then turns it into a hotel. Years pass and suddenly a singer whom Jocko loved and left in England reappears. Though she is quite wealthy, she is still angry at being jilted. she ends up winning the hotel in a card game. When WW II erupts, she and Jocko renew their love. Meanwhile the brother and sister discover that they are not related and are free to act on the mutual attraction they had been fighting for so long.